I haven’t indulged in any new perfumes for a while, so I was excited when Fragrance Direct offered me the chance to review one. I love browsing for new fragrances, as I’m a bit of a perfume addict. Ever since spending my student years working on fragrance counters across my city, I’ve not been able to resist a new perfume! After spending a little while trying to choose between a couple of different ones, I settled on the Nina Ricci Ricce eau de parfum. I already have the Nina Ricci Nina perfume, which is the one that comes in that gorgeous Snow White apple shaped bottle. It’s succulently sweet and one of my favourites, so this time I was tempted to try out Ricci Ricci. 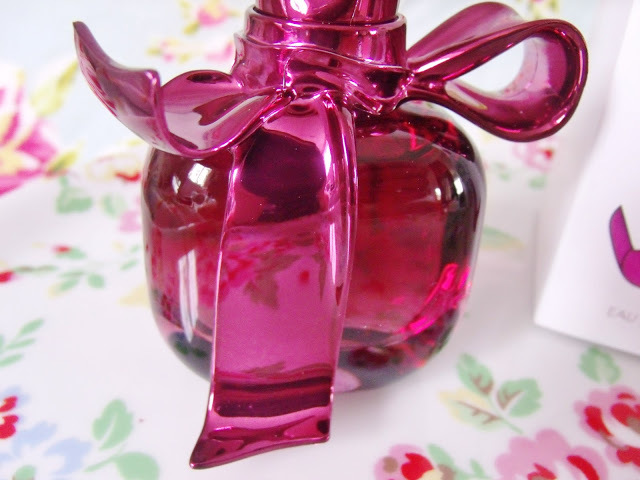 This is another pretty shaped bottle, which is in a deep pinky purple colour with a ribbon shaped top. A very nice bottle to have on display I think. The fragrance itself is a very fresh scent with a slightly floral aroma. It’s quite light and refreshing, but also very feminine, and not too sweet. I bought this without having tried it before, and I was certainly not disappointed. My Mum even commented this morning on how nice it was when she caught a sniff of it. The scent lasts all day long, even in these hot and sweaty conditions we’re currently experiencing! I think the beautiful packaging and fairly feminine smell would make this a great gift for a girlfriend or female relative. It’s not too sweet/floral and isn’t at all sickly, nor is it particularly suited towards a more ‘mature’ lady! It’s also a great deal, at only £29.95 for 50ml, saving £14! 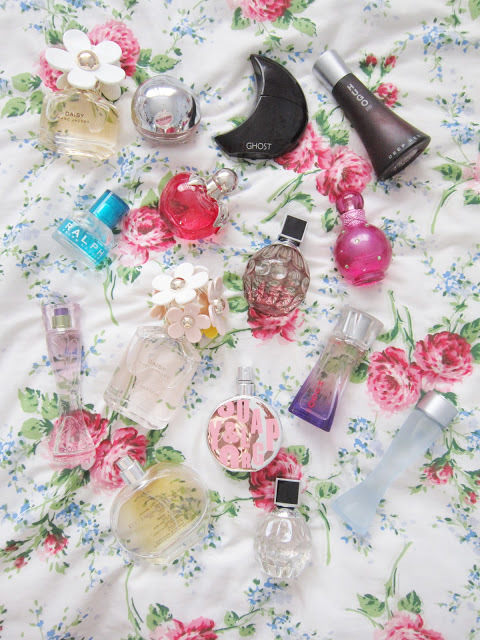 Here’s an old photo of my perfume collection, it’s grown since! Love you're photography! it'a beautiful and I love this perfume also. 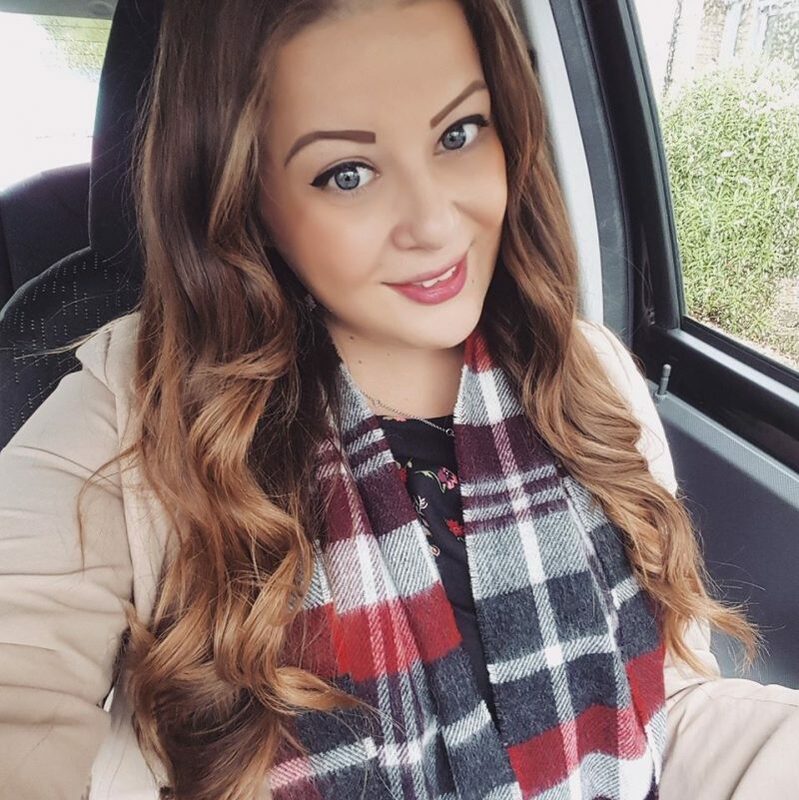 would love you to check my blog out. I love this perfume, it smells go good and the bottle is so pretty! Such a pretty bottle, I can't believe I haven't seen this one before! The bottle looks so nice! I'm glad you said it lasts long even in these conditions, I've found that this hot weather has really been putting the staying power of my perfumes to the limits.